What Will Front Door Prices Be in 2019? There are several factors that can affect front door prices. Front door prices start from £250 to £380 for supply only uPVC front doors. Supply only composite doors, on the other hand, start from £450 onwards. 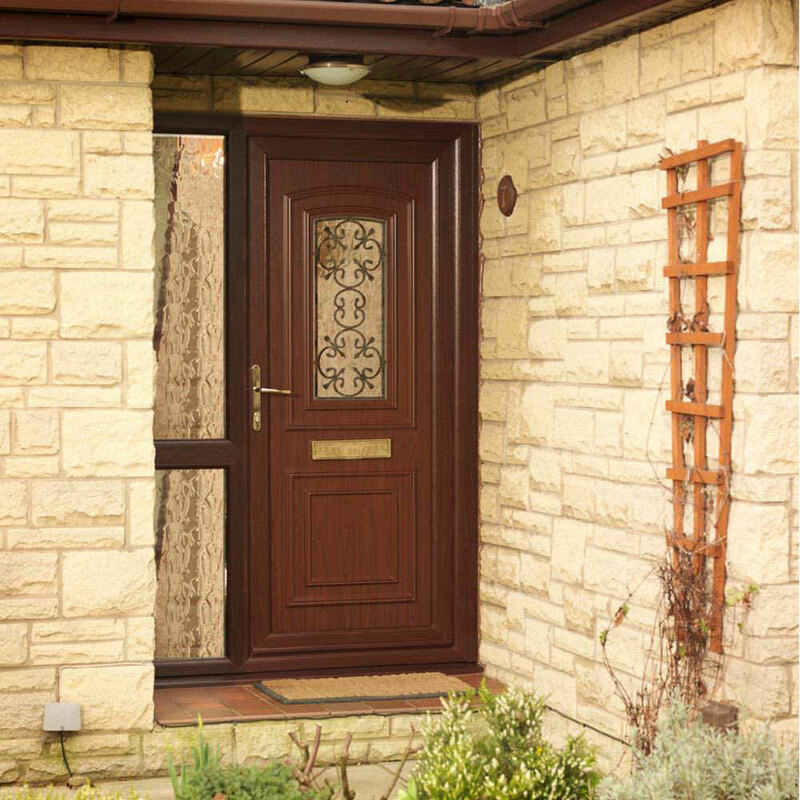 If you include installation costs, front door prices can start from around £800 for uPVC. Composite door prices tend to be higher than uPVC alternatives. Different suppliers will offer different products. The third option of front door material is traditional hardwood. It is therefore a good idea to shop around. 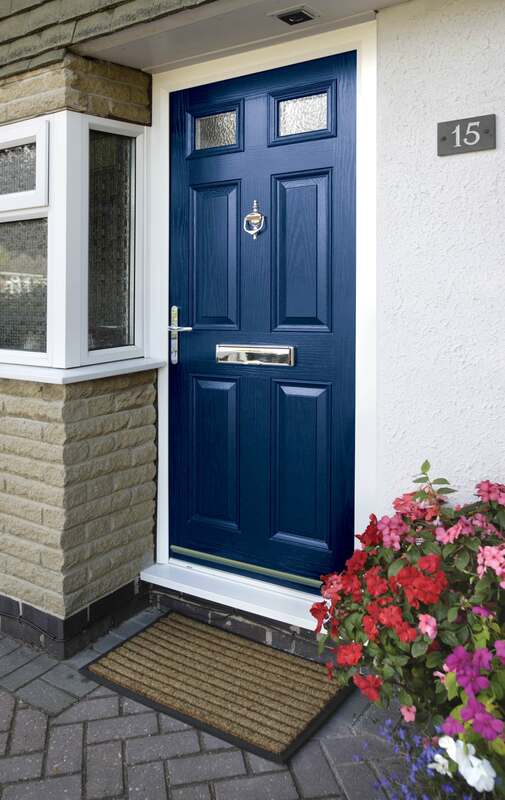 £1,000 is a reasonable starting point for composite doors prices fitted. This is the bottom end so will be a basic style. If you are looking for decorative glass or accessories this will obviously increase the front door price. 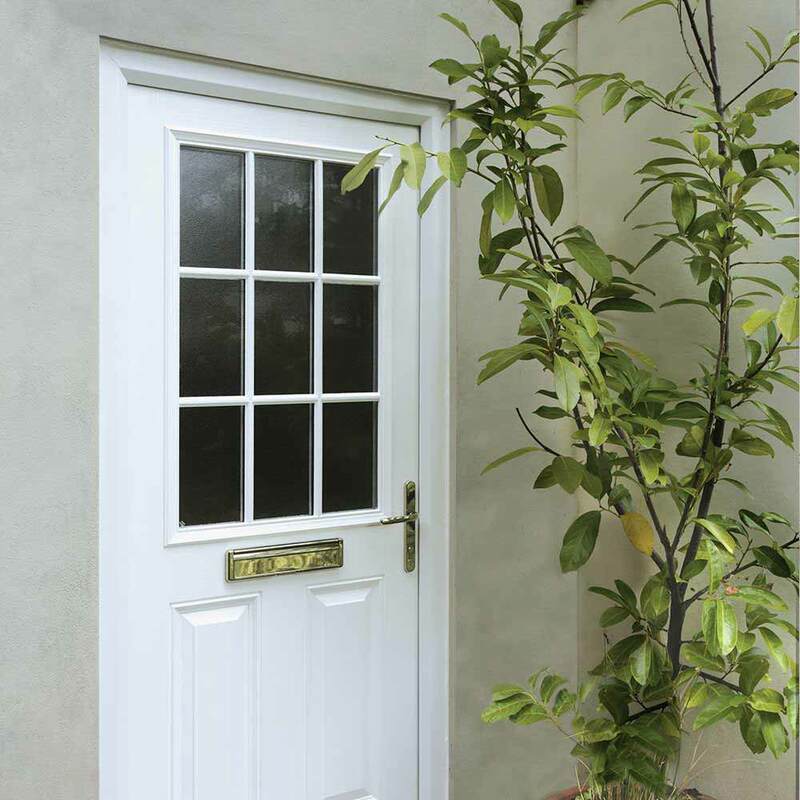 Timber doors are the most expensive with a starting price of over £600 for supply-only. This is simply because wood is a more expensive material. However, these are just base prices. If you want additional features, you will have to pay more. Front doors and back doors are external doors. They need to do more than just provide a point of exit and entry. Additionally, they also need to do more than demarcating space. These doors are essential for your home’s security. They also affect the external appearance of your home. The decision as to which front door to choose will therefore depend on these factors. The style of your property will play a part and of course your personal taste. Not only that, homeowners of heritage properties need to make sure their front doors follow certain regulations for appearance. In some areas it will not be permitted for you to go for a uPVC option. This may apply if you live in a conservation area. There are also restrictions for listed buildings. In certain areas you may also be required to conform with a particular look or style. It is worth finding this out when looking for front door prices. Even if you don’t have a heritage property, you may be particular about the way your home looks. As a result, you may want specific design as well as performance features for your front door. 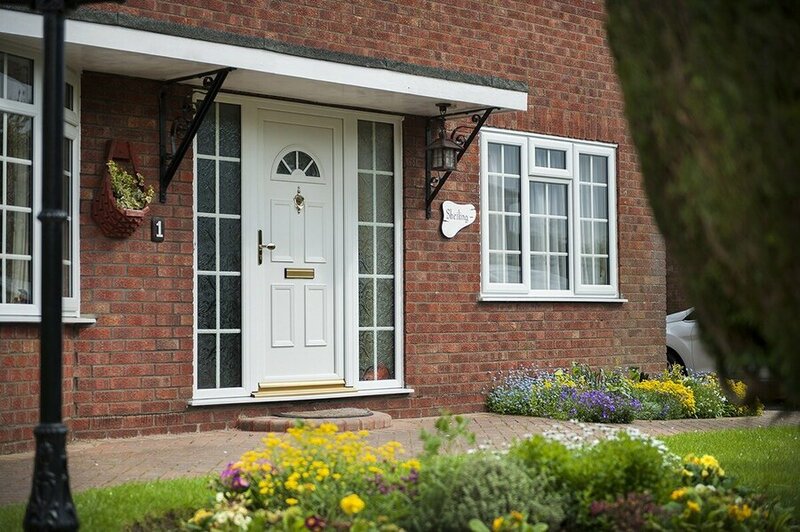 A new door will not only improve security and energy efficiency, it will also enhance a homes kerb appeal. It’s important to take your time considering your new front door design. 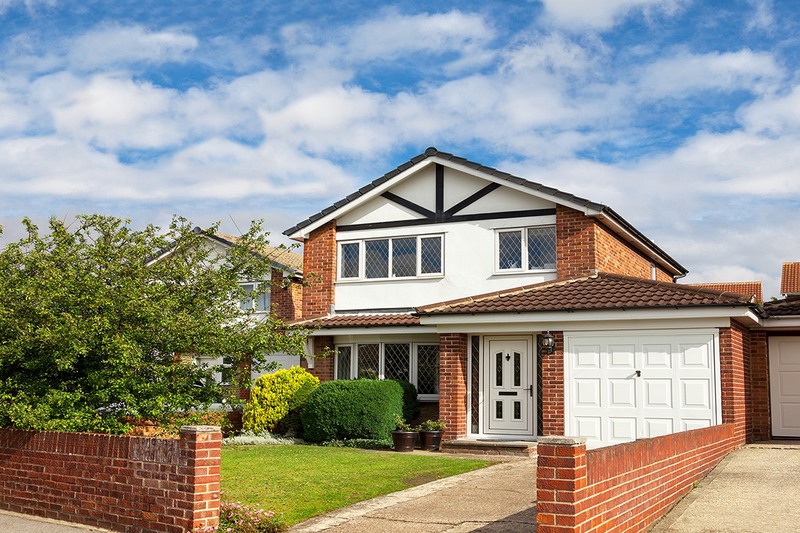 It may be an overused term, but ‘kerb appeal’ is fundamental to attracting buyers and adding value to your home. Is your home semi-detached or terraced? Maintaining continuity among immediate houses is really important. Why? Because it creates a sense of community. Everyone wants to know they are moving into a good area. Try and be objective. Take a walk up and down your street and assess how your property looks. Considering people can make up their minds about a property in just seconds, your new front door can affect your homes sale-ability in a big way. It doesn’t matter how much money you spend on the inside of your house, if the outside is not inviting, welcoming and cared for – no one is walking through the front door. You want to make the best of your property and keep it well maintained. If the exterior of your property looks good, a buyer will assume the rest of your house does too. Have a good think about your pathway, your door, your windows, the guttering and even the downpipes. Everything must look in order. These aren’t big things to do and neither are they expensive. Consider the style of your home, as well as your budget. Composite doors will cost significantly more but if you have period home that needs to be maintained, the investment will be well worth your while. A uPVC door is suited to those on a stricter budget however, this doesn’t mean you’ll miss out on quality design. Modern uPVC front doors are available in a wide range of great looking designs. 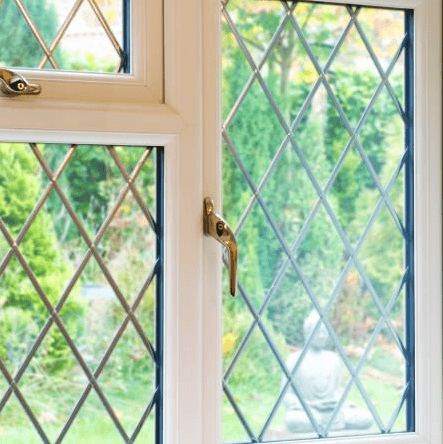 uPVC is a durable and low maintenance option. They are often popular with landlords as an option for rental properties. This is because they are long lasting and cost effective. They are also available with high security locking. A uPVC front door doesn’t just have to be a basic option though. They are available in many different designs. You can get them in white and a range of wood effects. uPVC doors can also be tailored to suit with glass options and door accessories. Number plates, letterboxes and spy-holes are also optional extras. 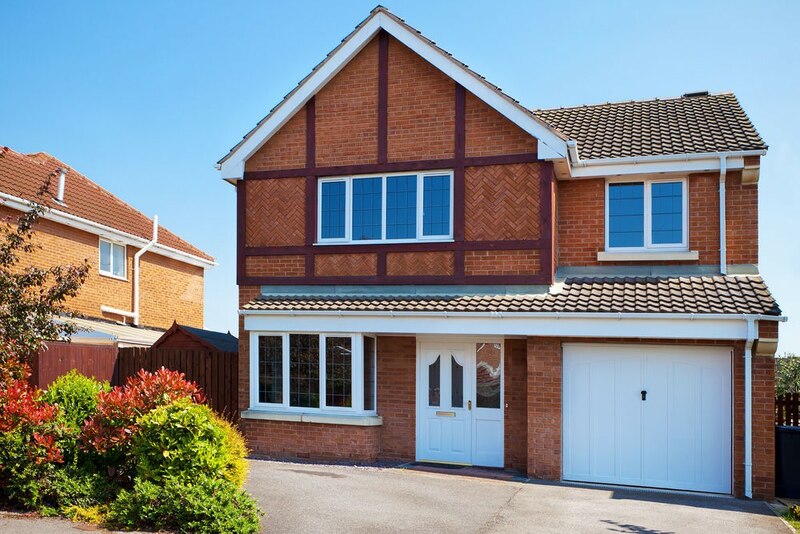 The average uPVC front door cost will typically range between £250 – £380. Prices can be higher however, and this will be dependent on design, installer and location. For example, if you are considering using extra panels or windows then this will make your door quote that little bit higher. Colours and Finishes. White is often the standard but there are a wide variety of colour choices available. Woodgrain colours are a beautiful choice for a more traditional style property. 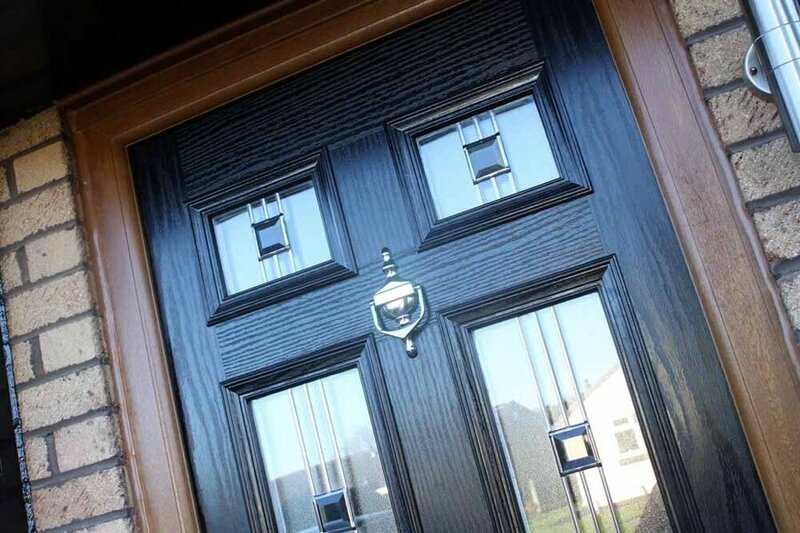 A woodgrain option can add up to £150 to your front door price. Double Glazing. Clear, tinted, decorative and safety glass can all add up to £50 to your overall front door cost. Composite front doors are very popular. These doors allow you to bring a splash of colour to your home, without the need for sanding or re-painting. Their low maintenance design means they are incredibly easy to look after. Composite front doors will certainly stand out within a residential area. Designed to impress, they really do bring the ‘wow’ factor. Front door prices for composite doors will usually be higher than uPVC. They are an attractive option and available in a wide range of styles and colours. The glass and door furniture is also customisable. This will allow you to achieve the look you want and the desired first impression for your home. They are a great way of achieving a more traditional look whilst still being a low maintenance front door option. The table below gives a guide cost of new front door replacement if you choose the composite option. These are guide composite door prices but should give you a good idea of how much a composite door costs. These are composite door prices fitted. If you are looking for a supply only option then the price will be cheaper. It is worth bearing in mind that if you choose to fit the door yourself you will not receive an installation warranty. What Are My Options for Front Doors? So what will affect your new front door cost? 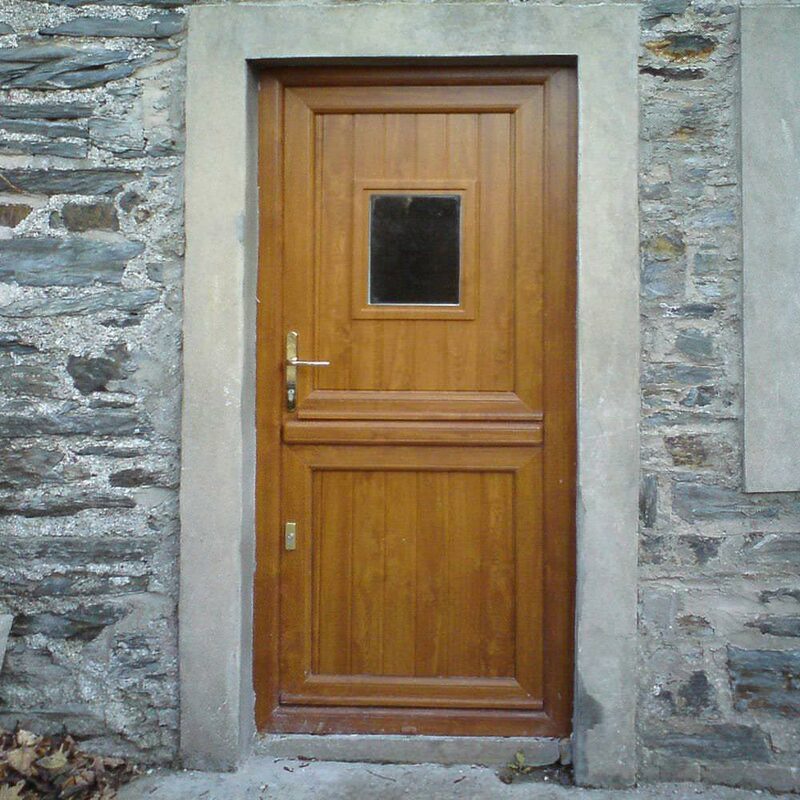 As we have established, you can pick from uPVC, composite or wooden doors. Wooden doors are the most expensive, and require a lot of care and maintenance. They are a popular and sometimes obligatory option for period properties. Traditional wooden doors look good but you will need to be prepared to maintain them. The wood will need to be sanded, treated and painted. Over time their look can deteriorate so you will need to be prepared to upkeep them. On the other hand, composite doors give a traditional appearance with better thermal performance. They are also a far lower maintenance choice. Available in a wide range of attractive colours they are a fantastic option if you want low maintenance and a traditional look. As the name would suggest they are made from a number of materials. These include uPVC, timber, GRP (Glass Reinforced Plastic) and insulating foam. 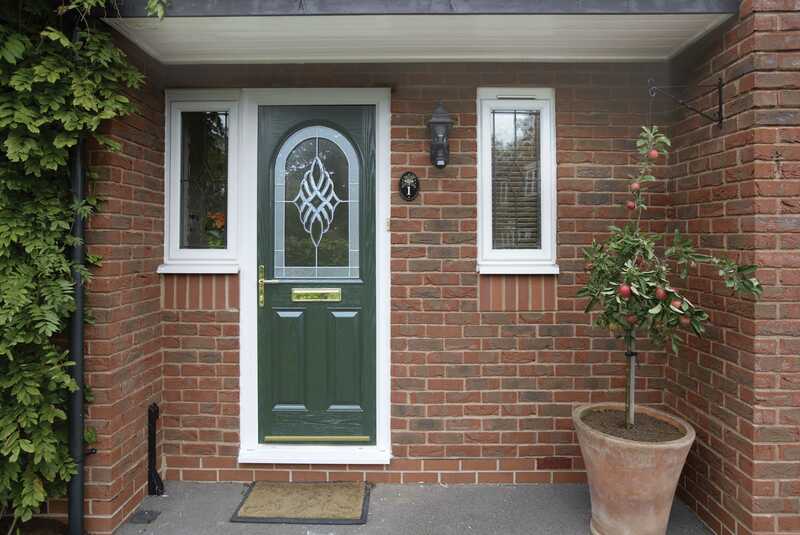 This combination of materials gives composite doors several benefits. They are strong and robust. They are energy efficient. This may be a consideration if you are looking to lower energy bills. If security is a priority, composite door suppliers will offer high security locking options. Alternatively, uPVC doors are the cheapest of all front door prices options. You can get wood-grain finishes for them, if you want a wooden look. There are several wood effects to choose from. Most suppliers will offer dark options such as mahogany or rosewood effects. Also, light options such as golden oak or Irish oak. They are also quite strong and secure, and can potentially last for around 15 years. Again high security locking can be added. If you want lower front door prices due to your budget, go for uPVC. You will get good performance with little to no maintenance. If you have a higher budget, you can choose between wood or composite doors. However, if you’d rather not spend hours polishing and painting, stick with composite doors. What Factors Affect My Front Door Prices? For wooden doors, the type of wood obviously affects the front door prices. However, other features like the glass quality and design, security features, and more add to the total cost of front door. If you are buying your wooden front door from a craftsman then you will probably pay more. The higher front door cost can be be justified though, as you will receive a high quality artisan product. If you live in a period property which requires a timber front door then keeping the traditional look of the property will likely be a priority. Any accessories or hardware you want will add to your front door prices. For example, door knockers, letterboxes, or pet flaps all add to your total cost by £10-20 each. There are many additions to choose from and most suppliers will offer a wide range. These include spy-holes, lock chains, door numbers among others. You can select door knockers in several colours. Chrome, gold and black are some common ones. There is also the option to add a spy-hole to your knocker. Spy-holes are also available if you opt not to have a knocker. A spy-hole is a popular addition for the security conscious. A spy-hole will allow you to see who is at your front door before you open it. They are popular among families buying a new front door for elderly relatives. Another security option to consider is a security chain or limiter. These devices allow you to partially open your door without providing access from the outside. House numbers in various styles are a popular addition. These too can be added in a range of colours and different typography. uPVC front door prices will usually go up for non-standard colours. White will be cheaper than a bespoke colour or a wood-grain finish. The more unusual the colour, the more you can expect it to cost. 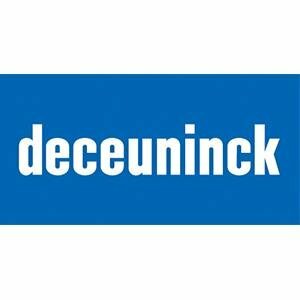 Most uPVC door suppliers will offer a range of colours so it worth shopping around if you are after someting more unusual. Door designs like panels, Georgian bars and glass options affect front door prices. Your door will cost more if you want glass panels, design on the glass, or any other decorative features. There are plenty to choose from. 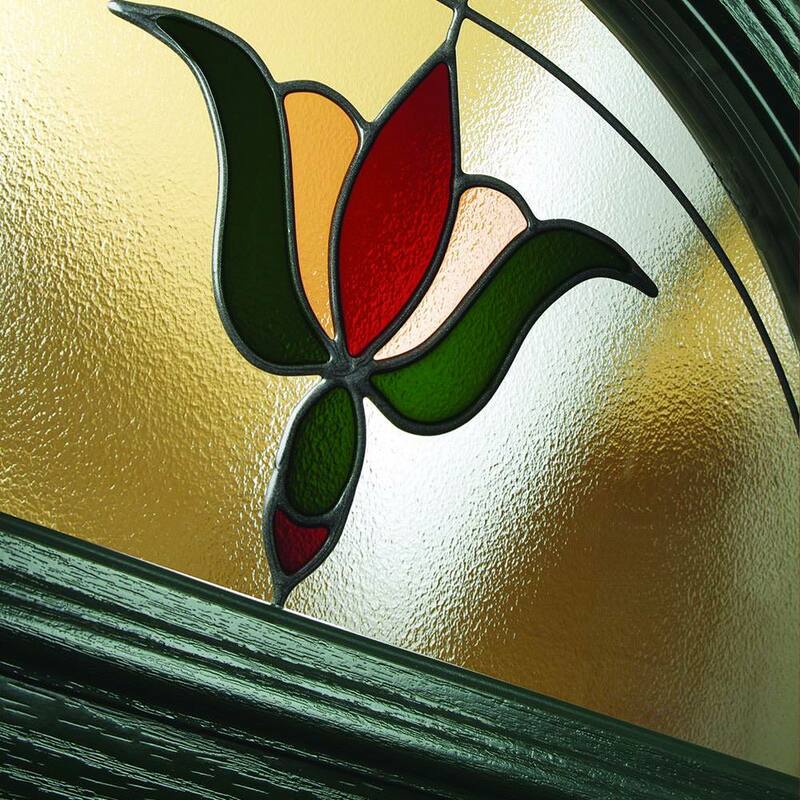 These include coloured and patterned glass. 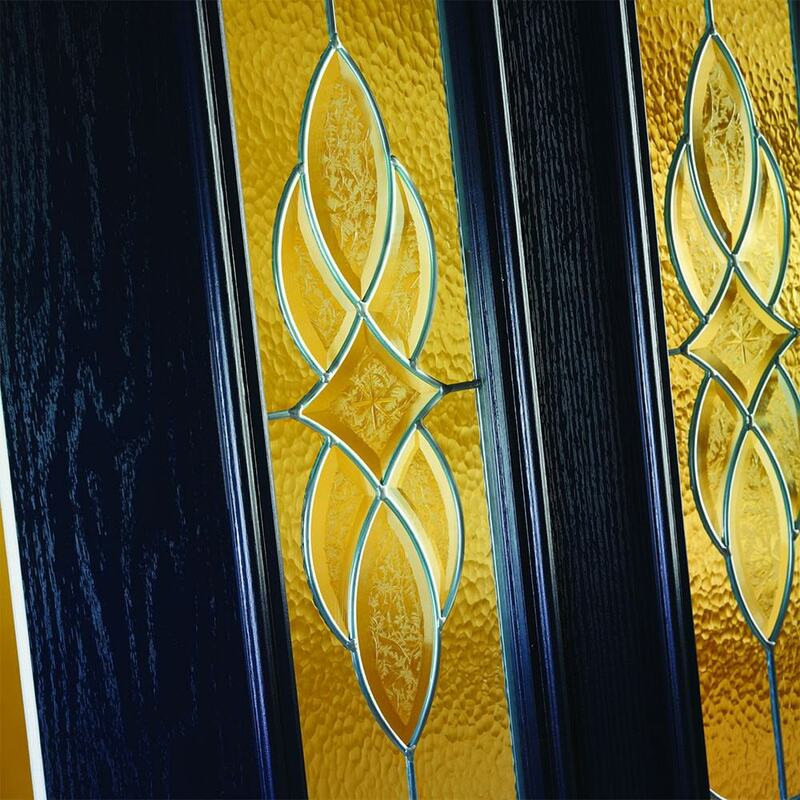 Bevelled glass can add a touch of class to the entrance of your home. Frosted glass is a good option if you are looking to get light inside the property but maintain a level of privacy. Moreover, additional insulation will also add to front door prices. Sealing tapes or warm edge spacing bars will add £5 to £10. If you want doors with glass panels, that’s an additional consideration. The size of the panels, the type of glass, and any design you want on it will determine its cost. Moreover, double glazing or triple glazing will be extra. Most companies include the cost of standard locks in their front door prices. However, if you want additional security, you can pay to upgrade the fittings. How much more secure you want your door determines how much more you pay. There are lots of different security options now available. These include cylinder locks, keypads and keyless entry locks. Since front doors are external doors, they need to be regulations-compliant. This means you need permission from the local building authorities. Moreover, you need to ensure that your installation is certified for compliance. You can reduce or remove the cost entirely from your front door prices by hiring a registered installer. Look for an installer with a FENSA or Certass accreditation. Your front door prices need to include the cost of installation. Fitting the door is generally a job for two people. Moreover, it can take up to half a day to a full day. Unless you are an experienced DIY enthusiast, you will have to pay installers to do it for you. Additionally, the installation charges should also include the cost of removing and disposing of the old door. How much does a door installation cost? The average door installation cost is between £90 and £500. Depending on the number of doors you plan on installing and the type of door you install, as this can alter the installation cost. When you include the cost of your new front door with the installation cost, uPVC doors can start from around £800. The type of front door you choose will determine the overall cost of your door. If you choose a composite door, then prices tend to be higher than uPVC doors and can typically start from £1000 overall. 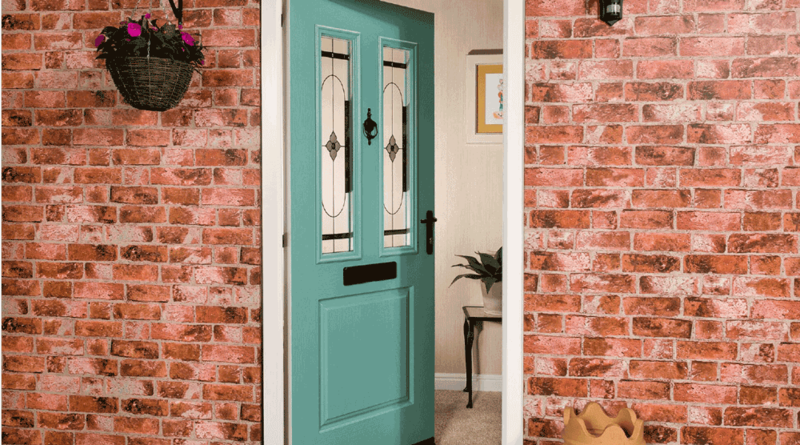 Homeowners can expect to pay between £500 and £1000 overall to install their new front door. The installation cost of your new front door will include the door fitting, removing and disposing of your old door. Most installation costs are budgeted hourly. If your door frame is a non-standard size, then your installer will require additional time for cutting and custom-fitting your door into the frame. The average hourly rate for a door installation cost in the UK is £25 per hour. This hourly rate is just an industry average, so it is fair to say you may expect to pay more than this for a more experienced installer. A common home improvement solution is to install a new door. Installing a new door can provide your home with several benefits depending on the type of door you choose. A new front door can increase the value of your property, improve thermal efficiency in your home and provide a more durable weatherproofing in the strongest of weather conditions. The range of benefits a new front door can provide your home with is next to none when determining whether the installation cost is worth the hassle. The cost of your new door installation can be an overwhelming process. Some experienced DIYers may feel they could take this job on themselves. However, the repercussions if not installed correctly are not worth the time. We can provide you with a quote for your new front door, door installation cost and any additional extras like custom glass by using our online quote generator. This system will allow you to get an overall cost based on your specifications. When choosing Double Glazing on the Web, you can be sure that our installers will fit your new front door to a high standard. Giving you the peace of mind that your new door will be installed to keep you and your home safe. 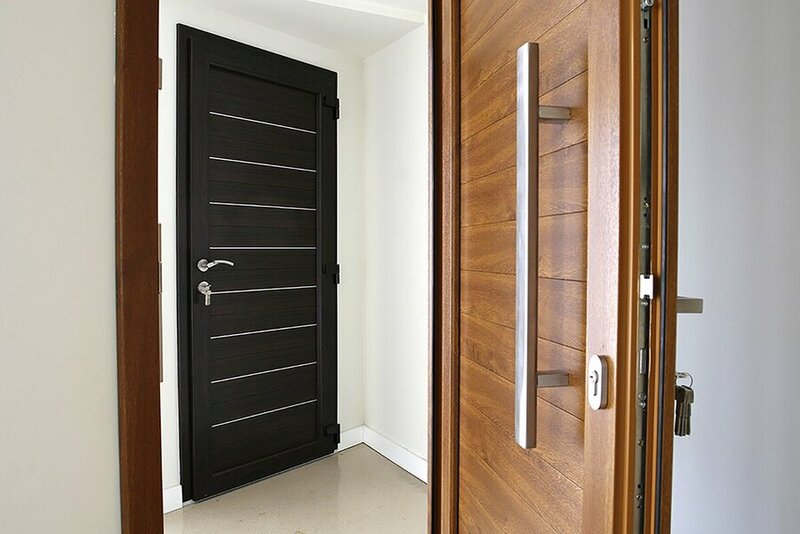 Simply contact us and speak to one of our expertly trained staff to find out more about our door installation costs. How Long Does it Take to Fit a New Front Door? In almost all instances, it takes less than a day to fit a new front door. However, most installations can be done in a single morning – the equivalent of three/four hours. Installers are more than aware that homeowners don’t want to be without a front door overnight. As a result, even the most complex door fittings are typically done in under a day. It’s important to remember that most installers will charge by the hour for the fitting. Of course, there’s a variety of different factors which can affect how long it’ll take to fit a new front door. However, if you’re having a more complicated replacement job being done, many companies will instead use two installers instead of the one. The only thing which would result in a front door installation taking longer than a working day is an unlikely instance that something goes wrong during the fitting. The process for fitting a new front door is normally broken down into four stages. In many instances, all four of these will go perfectly smoothly, which in turn could see the new front door fitted in just a couple of hours. However, all of these can take longer than anticipated if the installation is more complicated. One big factor in effecting the time taken is removing the old door. This is, in almost every instance, the first stage of having a new front door fitted. Unless you’re moving into a new build, the old one will have to be removed before you can fit a new front door. Most of the time this a hassle-free process, however, if it’s an unorthodox or older frame then it could take the installer/s longer to remove it cleanly. Typically though, this is relatively simple. What can take the most time is the next stage of the process – preparing the opening to fit the new front door. If you’ve invested in a new door which is bigger or deeper than the one previously, then the installer will have to take the time to accommodate the difference. If this a drastic change, it could take as much as five hours to complete this stage. This is where it can take longer to fit a new front door. Once that’s done the installer will then fit the new door. Again, this is relatively stress-free, as the space needed to occupy the new front door will have been sorted in the stage before. He or she will then add all the insulation and accessories if not done beforehand. That means that if you’ve bought a door with a range of additional features – such as Georgian bars, knockers and spyholes – the process will take longer. It’s important to note your installer may need to return the next day to do safety checks.. Even if the entire installation has been completed successfully, they may want to return the next day to make sure all the sealant and insulation has set. This is totally normal for a door installation, even if it was completed in just a few hours. What Are Fully-Fitted Front Door Prices? How much does it cost to fit a composite door? If we take the case of a composite front door that is priced £550, this is what the breakdown would look like. The fitter or builder installing the door will charge you about £15o . Addition costs, like the cost of fittings, sealants, and silicone would be about £50. As a result, composite door prices fitted in this example would be about £750 in total. If the fitter is not certified, you may have to spend a bit more in getting the relevant paperwork from the authorities. How Do I Fit My Front Door Myself? You can save money on installation charges on the total front door prices if you install the door yourself. However, this is an option only if you have the relevant skills. The first thing you need to do is measure your door. You will need 3 sets of measurements for both the length and width. If you’re not sure how to do it, get a carpenter to do it for you. Once you have the measurements, you can order the door. First, you need to carefully remove the old door. Make sure you don’t damage the brickwork while doing this! Once this is done, attach the new sill. Always ensure that it’s fitted correctly and aligned properly. Then, install your fittings on the door. This may be easier than trying to fit them in after the door is installed. After this is done, position the door to check if it’s level and swings smoothly. If it does, start securing the frame. Drill and secure each side, starting with the hinged side. If the door is fixed in and still working smoothly, put in the plastic packers. Fill in the beads, and secure by tapping gently with a soft hammer. Next, make any adjustments that may be needed before finally putting in the seal! How Do I Get Front Door Prices? It is extremely easy to get front door prices online. You can start with our online quote generator. Tell this little tool what you require. It will use your specifications to generate an instant quote. So why wait? Get started now and see a double glazed cost in minutes! You can get quotes for a multitude of door styles. 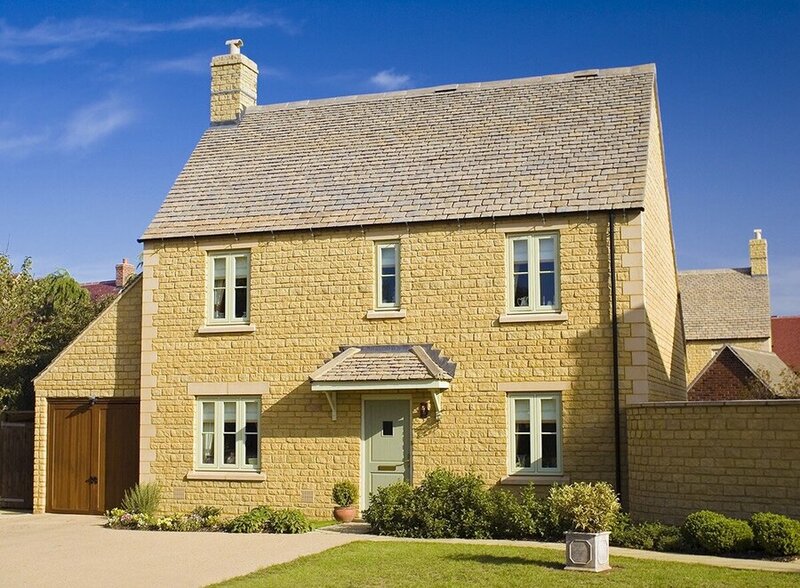 Choose from a range of colours and options to create a quote for your the front door you want. Why not create several quotes in order to compare front door prices?